Want to release stress, anxiety, fears, and overwhelm? I can help. I've been tapping for more than 20 years. I love combining what I have learned from my PhD in Psychology with a focus on mind-body medicine, my certifications in Energy Psychology,and 15 years of counseling and coaching to help my clients. I am also an EFTUniverse mentor. Is fear holding you back? Do you experience tension and pain, flashbacks, phobias or just feel overwhelmed by life? Download my free 'Melting into Sleep' hypnosis MP3 from my website and book your free 30min Discovery Session to identify your unique blocks to health and wellbeing. http://www.chrysaliswellbeing.com.au I first learnt EFT 15 years ago and used it to cure personal trauma and a heart condition, support family members with anxiety and chronic ill health and support clients experiencing anxiety ever since, due to the remarkable transformations EFT has enabled. I have a special interest in working with women and children who are experiencing stress, insomnia and PTSD and work within schools, mental health units, homelessness and disability services. I have a background in Educational Psychology and am a registered Clinical Hypnotherapist, Counsellor, Hypno Childbirth Practitioner, Massage Therapist and Reiki Master. I am a leading meditation teacher with the Insight Timer App, specialising in hypnotic sleep meditations. Based in Melbourne's Yarra Ranges, I offer clinic, mobile & SKYPE sessions, gently empowering you to tune in to your inner guidance to release and positively transform mind, body and soul. Rebecca is a certified clinical EFT Practitioner who takes care to work together with her clients to make progress on emotional issues by holding a safe space, listening when required, and asking specific questions. Together we will take the time find your core beliefs that will unlock hidden patterns, that can release energy blocks for you to gain a sense of letting go, deep relaxation and creating space for the new. All clients will take home resources to be able to work between sessions to keep supported on their EFT journey. Main areas of interest are mother's that are overwhelmed, stuck, and finding themselves repeating patterns from their parents, which they wish to avoid or clear. These emotions can show up in feeling unloved, unappreciated and unheard or even feeling a sense of loss of self. Working with children along side their parents is also highly rewarding, creating beautiful bonds for both mother and child. Sessions available in person and online. Lynea Diaz-Hagan, Breakthrough Coach and Certified EFT-INT Practitioner, brings nearly twenty years of personal development, business consulting, and creative development experience to her work with clients. Passionate about empowering people to discover and honor the truth of who they are, she specializes in helping clients cultivate clarity, courage, self-esteem, and a vision for their professional and personal endeavors. Lynea is particularly passionate about addressing the challenges and concerns of those pursuing artistic careers. She has coached both aspiring and established writers, filmmakers, visual artists, and performing artists and has worked closely, in production and creative development, with Broadway producers and an Oscar-winning director. Active in the San Francisco Bay Area as a playwright/lyricist and vocalist/composer, she understands the longings and demands that come with the artist’s life and loves nothing more than to help artists break through to the next level of their craft and creative careers. If you would like to work with Lynea, please call or visit her website to schedule a FREE consultation! I had an EFT session years ago and I was hooked! I knew I had to teach this, because it is so effective with changing limiting beliefs and the writing on our walls. I’ve also struggled with my weight in the past, which I’ve come to realize usually has emotional components that prevent conventional diets from working. Once I focused on my emotions, the weight fell off. EFT is highly effective for stress, anxiety, phobias, fears, emotional pain, weight loss. Let’s figure out what’s holding you back from reaching everything you want! I can’t wait to meet you! I am happy to work with you in releasing obstacles to your success, wellness, and peace of mind and heart. My clients have enjoyed success in clearing weight and food issues, mental and physical pain, stress, clutter and more. My training includes in-person seminars with the original founder of EFT in EFT Foundations, Serious Diseases, and Master’s Boot Camp, and a Prosperity workshop with EFT Master, Dr. Carol Look. My clients have called their results wonderful and amazing. Let’s get the same success for you! I look forward to speaking with you to set up a personalized plan. I see clients at my North Haven office, by phone or Skype. Bio Coming soon. Feel free to contact me for more information. During my professional career as an R.N. over the past 33 years, I had been trained in various aspects of western medicine. As my spiritual path developed, I've come to realize the limitations in this medical model. At the same time, I've always had an incredible appreciation for the human body and soul and it's innate ability to heal and thrive. In the work I have done with people struggling in so many different ways, the piece that always stays with me is the human heart and the power within it. Following my heart to help others has led me to discover EFT. The exhilaration of watching people's pain disappear, both physical and emotional, and be replaced with JOY is a feeling I can never find words to describe. When I discovered EFT, I suddenly began to feel as though I was walking around with a magic wand and that we all have that same wand!! 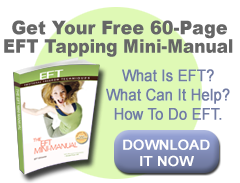 EFT appears to be extremely effective in all walks of life and in many varied situations. I specialize in PTSD, Trauma and Phobias, although these techniques can resolve many different types of issues. It is a gift and a joy to witness the ease with which physical and emotional pain can melt away for my clients. I come from the background of an ordained interfaith minister, spiritual counselor, consulting hypnotist and NLP practitioner. Being educated in addictions counseling, the areas of habit change, and shame are interest of mine. Importantly, being a Vietnam era veteran, the discomfort related to combat experience is of particular interest to me. I am passionate about helping individuals live life with emotional intelligence, free of past emotional pain, whatever the source or situation. We work together to help you clear the blocks to the abundant life that you so richly deserve whether that be on the physical or emotional level, using EFT. Available for private, phone and Skype consultations. I am the author of Pathless Path, contributing author to "Clinical EFT Handbook, and co-author of "EFT for Meditation"
I show women who are struggling with their weight, feeling unattractive how to easily prepare delicious healthy meals with foods that support their body. I use Tapping to help break through any underlying resistance so you lose weight naturally, keep it off permanently and feel fabulous. I work with clients all around the world either on the phone or on skype. The combination of tapping and nutrition coaching will give you the tools you need to look and feel fabulous. As a child,I always had this dream and desire to become a doctor and serve people by treating their illnesses. I did not become a doctor, but I always had an yearning to bring a transformation in the lives of people. Growing up in a family with heart-centered people, I understood the value of practicing kindness and being compassionate to everyone at a very young age. Next to prayer, EFT was the best thing I stumbled upon in my life. From that moment onward, I have been on a quest for personal transformation in terms of my physical, mental, and emotional well-being. If you have a desire for transformation in your life, I will be glad to be a part of your journey. I bring my passion, my heart, my knowledge, my personal experiences and my voice along with my unique gifts to help you heal at all levels. Some of my areas of interest are: Stress/Anger management, Teens, Relief from menopausal symptoms/women's issues, pain relief, procrastination, self-esteem and self-confidence issues, sports performance, relationships, and emotional eating/weight loss. My passion is to help the families who have children with special needs.